Metro City has a new Mayor and he's also the latest member of the Street Fighter V: Arcade Edition roster. Shacknews steps into the lab with Cody, while also taking a look at how the pro scene has taken to him thus far. The new Metro City mayor has officially moved into City Hall and is ready to serve the people. 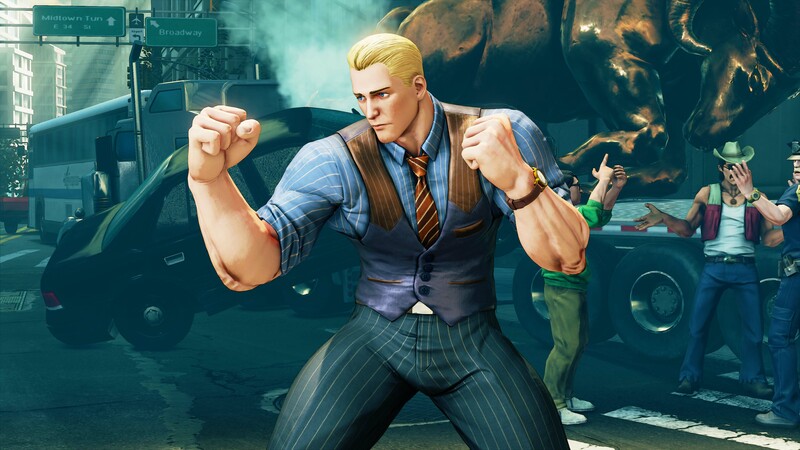 But in the Final Fight world, there is no taking the fight out of its politicians, which is why Cody is getting right back out there to fight for his constituents as the latest Street Fighter V: Arcade Edition entrant. But what exactly do newcomers and veterans need to know about the game's latest third season addition? Shacknews exits City Hall and enters the lab for a closer look at Street Fighter V's latest combatant. We know his basic moves, but what else can everyone look forward to from Cody? The first thing to point out is that Capcom is fully honoring Cody's Final Fight roots. That doesn't just extend to his moveset, either. Casual players and newcomers can feel comfortable picking up Cody and handling him just like they would in Capcom's classic beat-'em-up series. Arcade-style button mashing can actually get players pretty far with Cody. His Final Combination is essentially four Light Punches strung together and they're fairly effective. They're good for a quick knockdown, but the variant where players hold Down and execute the final Light Punch ends the combo with a quick throw, offering up distance from the opponent. That allows Cody players to either follow-up with a Tornado Sweep, rush down for another combo, or a V-Trigger activation. Cody's Tornado Sweep doesn't come across as a particularly effective projectile. Any rushdown move with armor can cut through it like butter and leave Cody at their mercy. It's good in the sense that it can offer some pressure, albeit minimal since Tornado Sweep doesn't go all the way across the screen. However, nobody should be living or dying by this move. At heart, Cody is an up-close brawler, which is why it's great to see his classic Double Kick move from Final Fight make a comeback. This is one of the best utility moves I've seen in the game. It's great as a combo ender, it's a solid anti-air move, and it can hit on both sides, making it a rare tool to help avoid cross-ups. Unfortunately, nostalgia goes a little too far sometimes. Like in Final Fight, using Double Kick costs a small chunk of Cody's health, meaning players must be sure not to overuse it. But because Double Kick is such a great move, expect to see players try and gamble with it anyway. It's particularly great for filling V-Gauges quickly. And Cody's V-Triggers are both pretty effective. The casual player will want to go with Side Arm, Cody's V-Trigger I. The knife is an effective tool, whether it's used as a projectile or for any variety of moves. Rapid Fire (Quarter-Circle Back + Any Punch) is a close range attack, but when it hits, it scores a reliable six-to-seven hit combo. And like Final Combination, it can combo straight into a Critical Art. This is something the casual player is going to want to memorize, as it's a devasting and nigh-escapable situation. Snipe Shot, as noted, is good for a quick projectile and Cody can pull out a new knife by hitting HP + HK, but watch that V-Trigger gauge, because it runs low fast and there may not be enough time to get rearmed. Dirty Coach, Cody's V-Trigger II that utilizes the old Final Fight lead pipe, is for more advanced players. The pipe hits harder and has some neat tricks, like the Bean Ball that sees Cody launch a rock into the air and use the pipe like a baseball bat. However, it should be noted that Bean Ball requires a HP + HK follow-up to actually hit the rock. Not only is it possible to strike out, but the rock may not always go where it's supposed to, depending on the angle Cody strikes it. Those with slower reflexes will want to stay away from Dirty Coach and opt for Side Arm, instead. Cody has enough of his Street Fighter IV moves, like his Ruffian Kick, that'll make him appealing to veterans, even if they aren't so keen on his weaponry getting shuffled to Cody's V-Trigger. But for beginners getting into SFV for the first time, Cody's very easy to learn and a solid pickup. He has a lot of defensive deficiencies, but let's face it, the casual newbie isn't really blocking all that much anyway. How have the Street Fighter pros taken to Cody so far? So far, there's quite a bit of criticism from the pros. Several pro players across Twitter cite Cody's lack of defensive options, his weak projectile option, and the fact that Double Kick costs health in their critiques. But other pros are looking to overcome these shortcomings and see Cody's potential. David-Paul "AutoMattock" Mattock has had a ball with Cody thus far, showing off his potential for crazy close-up combos. He's even playing around with certain pieces of Dirty Coach, like using Bean Ball as a juggle and using the pipe swing to help set up his Critical Art. Echo Fox's Yusuke Momochi has also been trying Cody out and he's struggled with a few of the character's defensive shortcomings. In particular, the Abigail matchup proved problematic for him, since Abi can just bully his way forward and cause so much damage in such a short spurt. One thing Momochi is able to demonstrate is just how much range Cody's Critical Art gets, as it can cover a deceptively wide area. Meanwhile, Victory "Punk" Woodley and Daigo Umehara are trying out their own distinct Codys. Daigo is clearly seen having a ball with Dirty Coach, even if he can't quite get the hang of it. And just as things start to go south for him at the 9:35, watch him counter (!) with the Critical Art. He also shows the effectiveness of the low Ruffian Kick, which can act as a sweep. Punk, meanwhile, shows some trouble keeping up with an aggressive Balrog, but Side Arm's knife works particularly well in his favor here. He's also able to slickly transition to the Critical Art from the aforementioned low Ruffian Kick. Let's go back to Dirty Coach for a second. Remember how I mentioned it's for more advanced players? It's certainly worth learning, because Cody's Bean Ball is capable of overcoming some tough situations. 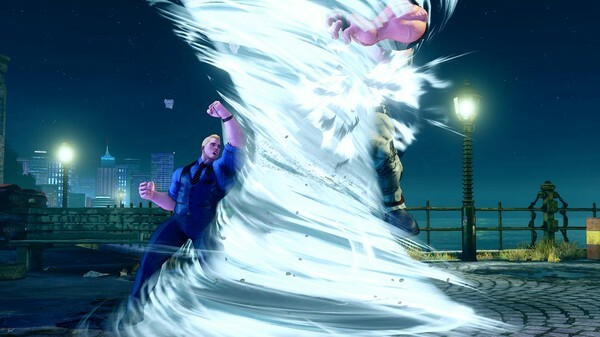 Watch as Olaf Redland uses the move to completely penetrate Urien's Aegis Reflector. While it's hard to gauge where Cody is ultimate going to fall for the pros, at the very least, it's looking more and more like he's going to get an "A" in terms of fun factor. How's your Cody experience been so far, ShackFighters? Join the conversation and let us know in the comments.